November’s Philanthropic Endeavor: St. Petersburg Free Clinic. 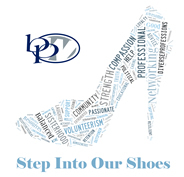 Please bring items to the next meeting, November 17th and BPW will deliver. If you would like to drop off directly, below is more information. Maintaining a healthy diet can be challenging for anyone but when that is paired with low income and a major medical need, it can be a daunting task. Our neighbors in need with diabetes are facing just that challenge. To help serve this need in our community we are seeking donations of diabetic friendly food items to distribute through our We Help Services Food Pantry. Donations of all non-perishable food & personal hygiene items are accepted and appreciated. Donations are accepted at the back loading dock of our main building Monday – Friday, 8am to 3:30pm. If you have donations in a large volume please call prior to drop off so we can make sure there is ample support to unload your donation.